As 2017 unfolds, many innovations will empower ecommerce businesses to improve their profitability.In a competitive business environment, where growth is essential for survival, knowing about the ongoing innovations and implementing them is important. Being the enablers of ecommerce, we decided to jot down few innovations that entrepreneurs can use to keep running their ecommerce business sustainably. 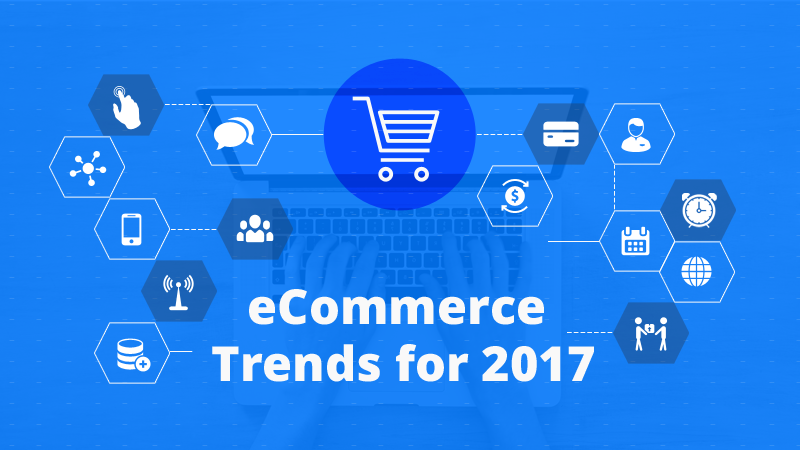 Without further ado, here is our forecast of upcoming and current trends in ecommerce ecosystem ecosystem for 2017. Over the years, Amazon has evolved and has expanded its business in different verticals with many innovations.To name a few, Echo, Prime, drone delivery, etc. Excessive cost related to travel and logistics, etc. Brick and mortar store owners can also use the innovation introduced by Amazon Go along with their current resources and save more through less human effort in store management. The culture of innovation at Amazon doesn’t end at its cloud solutions. A few days ago, Amazon made its first drone delivery in a record time of 13 minutes just after the user placed the order. Other brands are not too far behind. Companies like Domino’s Pizza, Google, Alibaba, etc. are some other brands that are extensively using the concept of drone delivery to make their delivery system more efficient and deliver orders in remote areas. According to a research conducted by Barclaycard, 6 out of 10 retailers were affected negatively due to increasing number of product returns. The reason behind such statistics is that people are not able to understand aspects of the product by simply reading its description. Why settle for stock features in an Ecommerce platform? Go Custom. From making strategic business decisions to personalized product recommendations, the role of artificial intelligence has expanded to every aspect of an ecommerce business. Safeguard your ecommerce business with fraud analysis, etc. Social media marketing and promotion has been one of the most prominent and current trends in eCommerce. This is year also; major social media platforms like Facebook, Pinterest, etc. provide ecommerce features for sellers. It is up to sellers how they use the platform to improve their sales figure. Social portals like Instagram, which has not yet integrated ecommerce features, is testing a “Shop Now” button. With this feature, users can easily buy the product appearing in the image. LinkedIn also provides tools like Sales Navigator, which help businesses to focus on the target audience and improve their sales figure. The ecommerce ecosystem is seeing a monumental change in innovation and technology. With more people appreciating each innovation brought by ecommerce giants, consumers are becoming hungry for better user experience. If you want your ecommerce business to run sustainably in 2017, then keep your eyes open and be ready to improvise on the go with the above-mentioned trends.